Paper and Ink Playground: You Rock, Drew!! I just love this sketch challengeSCS197 from SplitcoastStampers . I needed a card for my nephew, Drew. He's a rockin' teenager who plays the drums in a teen rock band. Can you imagine how excited I was to find this cool set of stamps from Inkadinkadoo? Jacksonbelle has all the cool sets in her ebay store. I thought this card needed to be as rockin' as the stamps. 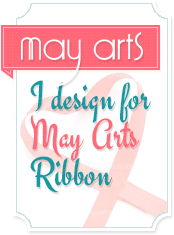 I have to tell you that I was having serious ribbon withdrawal. I didn't think Drew would think that was very "cool" for a guy so I added the black strip to the sketch and soothed my withdrawal with lots of glitz and glitter. The base card is PTI new soft gold cardstock. I thought I would use this just for girly elegant cards but it works for this one, I think. The glittery layer is from K & Co. Halloween glitter pack. I embossed the SU eggplant layer in clear embossing powder using Versamark. Images are stamped in Black Staz-on. To make them really rock, I traced them with a glue pen and added some Martha Stewart ultra-fine glitter. I think the drums look like they're on a drum with those neat Nestibilities circles. You think he'll think it's cool, too? Charlene, this card is AWESOME! Totally cool in every way and the colors are spectacular together. YOU rock! I just stopped by to say thanks for stopping in on my blog the other day through SITS! It was nice to meet so many new people!